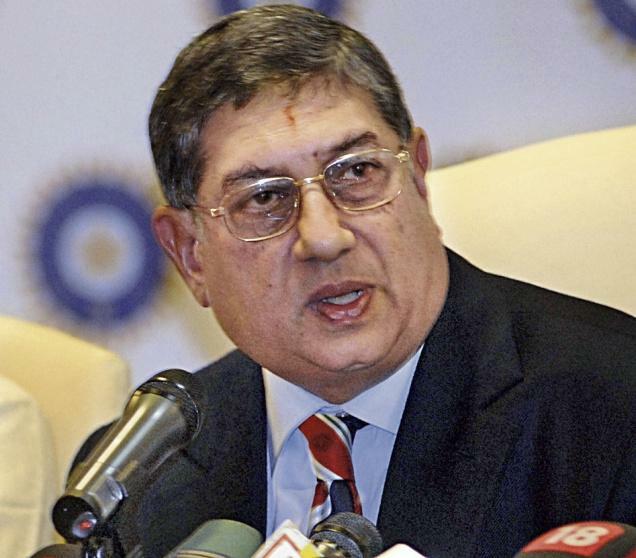 N. Srinivasan has called a press conference at 4 pm today, few hours before the IPL final. Everyone is perplexed as to the reason for this press conference, and the timing of it. “There was a lot of deliberation in the Srinivasan household. Srinivasan and his supporters have been analysing the situation that has emerged in the last few days, in great detail. All the ire from people, media, politicians, bookies, underworld etc. have all been discussed at length, to figure out what the real challenge is about, and what should be done next. After a lot of deliberation, it was determined and concluded that the main reason people felt let down was that the field was not a level playing one! Guru’s calls went to Vindu and from Vindu, the information went only to a few select bookies. Those bookies and their customers benefited, while the rest of the people suffered due to not having the necessary information. This was the great injustice that needed to be fixed (pun unintended). Like a company needs to make the necessary disclosures to the stock exchange, so that all shareholders and the public are equally aware, so also, if any facts are to be shared, these should be shared equally with all, and not selectively. Recognising that to be the problem of the past, and wanting to ensure that this does not repeat for the final also, Mr. Srinivasan is taking this press conference at 4 pm, to share the information equally. What the final composition of the CSK team will be? Who will open the batting, the bowling? What the roles of the umpires are going to be? How the pitch is? In which over, how many runs are expected to be conceded? Who’s going to drop some catches, who’s going to do crucial misfielding? And most importantly, who is going to win? With all that clarified 3-4 hours before the game starts, it now becomes a level playing field, and everyone can place their bets with all this relevant information. So said the fly on the wall. So you know now, what to expect in the press conference at 4 pm today.. The IPL Spot Fixing Fiasco and Why it should not be such a big deal? !